Nowadays, customers believe they are entitled to excellent customer service, anywhere, anytime. Brands can thank social media in part for that. Social media provides customers with a public forum to lodge their complaints very conveniently in front of a very large audience. In fact, according to the Global Web Index, about 50% of customers now follow brands in order to access some form of customer service via social channels. It’s no surprise then that more and more brands are improving their image by providing customer support via social. But what sort of plan should you have in place to contend with negative comments when they arise? Let’s simplify. You don’t need 12. You don’t need 8. You don’t need 5. You need 3. The first six principles above should be self-evident to any customer-service, marketing or PR professional. They have to do with the most basic customer-service tenet. You can distill these six principles down into a singular recitation of the Golden Rule: treat your customers as you would treat yourself. Turn your negative-comment lemon into lemon-aid. This includes knowing your top social influencers and addressing them appropriately (#7 above). It also means that you can turn a negative comment into a positive experience by following up with your disgruntled customer to ensure they got the answer they needed and that their problem was resolved (#8). Lastly, deepen the relationship to add value. Offer more information than they asked for, ask them for additional feedback, or tell them about new products/services (#9). Be a judicious moderator. If someone steps out of line, take appropriate actions. It is, after all, your community (#10). Your page’s comments are your brand’s content. See how far you can go with this by listening to how the Atlantic Monthly’s Ta-Nehisi Coates moderates comments. Bottom line: if it’s not appropriate, you are empowered to remove it. But before you remove a nasty comment, ask yourself this: Will customers perceive us as being surreptitious if I remove this comment? (#11, #12). Always think of your customers first. If removing a comment would be more helpful to your brand than to your customers, you should probably leave it be. But what about blatantly false accusations? Should you defend yourself? If those accusations begin to negatively impact relationships with other customers, it’s probably a good idea to stick up for yourself. Southwest Airlines pulled some punches with their own video response to some unruly and outspoken customers. It was authentic and addressed their customers concerns. It was also aggressive, but it worked in putting out the fire of worry among their broader customer base. What do you think? Are there other principles you use when dealing with negative comments online? Every good marketing campaign needs a social object. In essence it’s the thing that brings people together. It may give people a common purpose or simply give them something to talk about. It encourages and increases sociality. And for a marketing campaign, that’s key, as it gives way to virality and social amplification. (Marketers covet word-of-mouth referrals!) 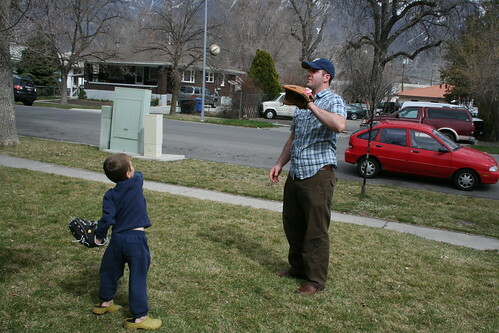 The most obvious non-marketing example of a social object would be a baseball: A boy and his father get some good quality bonding time playing catch in the front yard. The ball becomes the social object that allows them to do this. In the world of marketing, a great example of a social object would be Kraft’s Oreo Cookie Moments Gallery. The premise is straight forward: To help celebrate its 100th anniversary, Oreo asked it’s fans to share their favorite Oreo photos, videos and stories with them and they would then “share them with the world”. Oreo fans would upload their own “Oreo Moment” via Facebook or their campaign micro-site. These moments were then displayed on both Facebook and the microsite, and became fully share-able across each fan’s social graph via Facebook. Each Oreo Moment thus became a social object. Could the Oreo Cookie itself also be a social object? Certainly. Many products themselves are the primary social object for brands. In fact, the guy who advocated the “social object” term says that unless your product is a social object, you might as well not be selling it. Any Apple product (iPhone, iPad, etc.) is a great example of a social object. On a larger scale, well-functioning social networks must define what their concept of social object is. 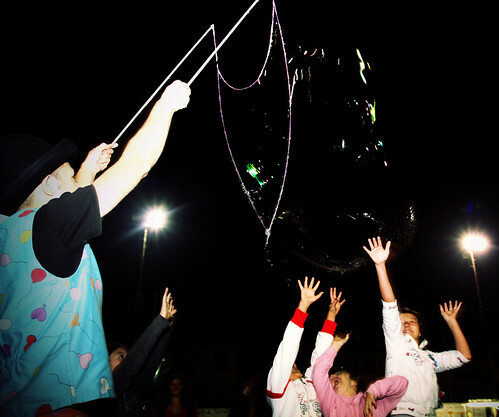 For example, Flickr uses user-generated photography as the social object. Delicious or Digg use URL’s. Facebook uses images, URL’s, and status updates. But what about LinkedIn? A convincing polemic on why some social networks work and others don’t argues that a successful, sustainable social network must be focused on an “object-centered sociality”. Something like collaboration itself could be a type of social object. Consider the so-called social business model. In this paradigm, a company, from product, customer service, engineering, marketing and so on, are all interconnected not only with one another, but with their external customers. Michael Brito of Edelman Digital has an informative infographic on what a social business model looks like. Social business managers must discover their social objects if they want to see their customers and employees interact, discuss and evolve their ideas into tangible outcomes. Dell’s IdeaStorm is inspirational in this regard. As a social media marketer or online community manager, you must frequently uncover your community-wide social objects. How do you do this? There’s no tried and true model here. My advice is to begin by acting as a group facilitator. Listen, listen, listen. Chart out the most commonly discussed topics or products, the sentiment, the problems, the positive feedback, etc. You’ll then have a short list of themes to work with. Get community members involved with not only what the social object is, but what the process and rewards (if any) might be. This can be crucial to engagement. Remember that ultimately you will not control the object itself. You can, however, facilitate the process and the outcome. So what’s your community’s social object? Launching a collaborative online community: Really Tough. Nearly Impossible. At the very least, ceaselessly challenging. Collaborative communities rely on great content that everyone can discuss and develop. The content represents ideas. These ideas are put forth to the community, and if it’s an active community, an evolution of that idea takes place. It becomes better than it was before. That’s the ideal anyway. Think about this evolution of ideas in terms of a Hegelian Dialectic: Thesis, Antithesis, Synthesis. But, before you can get there, you’ve got to have some content that provokes thought, compels opinions and spurs dialogue. For most communities that is a tough nut to crack. It gets even more challenging when your community content is 100% user-generated. How do you get your users to furnish amazing content that moves ideas forward and pushes the community closer to its collective vision? It starts with nurturing your members. Every member needs a certain amount of hand-holding when they first arrive: learning the tools, navigating the site, understanding the guidelines. But the type of nurturing I’m talking about is deeper than that. You’ve got to identify members who have promise as star contributors. Who are the thought-leaders? Who has something worth saying? Who has strong or even divisive opinions? Who has notoriety? Who has something at stake? Think through these questions as you go through your member rolodex. Once you’ve identified these folks, put them to the task. Ask them to contribute! But frame it in a way that gives them something to win. Gamify your proposition with recognition, visibility, points, rewards, or whatever it takes to motivate them to contribute. Case in Point: One thing we’ve been experimenting with in our community is a “Blogger” program. With a capital B in fact. This is an official program for our star contributors. They commit to one 500+ word blog post per month. In exchange we feature them on the home page of the community website and in the weekly community newsletters. We also elevate their status in the community by giving them a special badge that displays on their profile page and on any of their official Blogger posts. The hard part with this is motivating them to generate that first post. To assist with that, we created an editorial calendar that they all have online access to. It details each blogger, their monthly topic and the date that it will be published. This shows them that they’re part of a team. They see the stature of their colleagues as well – everyone here knows that the other is a well-known figure for their company or cause. Giving them a specific date will do wonders for 90% of the bloggers too. Nearly all of us love (hate?) a deadline. Once we’re given one, if the stakes are appropriately set, we’ll stick to it. The second hardest part is getting them to do it again. To help with this we used the concept of a dashboard. Every couple weeks we email the blogger group and list all the recent posts. We also list out the number of views and the number of comments that post received to-date. This gamification tactic gives them social validation (if they’re numbers are highest) but also gives them motivation to either keep their game up, or to try and beat out the top posters for that period. Good community managers and social strategists know that content is crucial to a successful community. But when you can’t fully control the content creation, you’ve got to get creative. I believe collaborative communities need a solid blogger program to keep the ideas evolving. What do you think? Have you had experiences with your own “blogger” program? What other ways are there to facilitate *good* content development? Nearly every e-commerce site these days has a “like” button on its product pages. But what does that really do for increasing the bottom line? Is it the best way to engage your customers? Are there better ways for e-commerce companies to integrate social into their buying experiences? And how can brands fully leverage their fans on social to build loyalty, advocacy, and increase purchase frequency? To answer these questions (and many more! ), I went to the bleeding edge of social commerce. Based in Portland, Oregon and founded in 2009, ShopIgniter is a rapidly growing, social commerce software company that helps retailers and brands leverage the social web to extend their reach, promote products and generate revenue. I got the opportunity to speak with Marko Muellner, SI’s Senior Director of Marketing. Ben Fowler: Let’s start at the beginning: How do you define social commerce? What are its components? Marko Muellner: There are many different definitions of social commerce and the category seems to span from deal vendors like Groupon to social shopping sites like Fab.com to companies like 8th Bridge, who help brands put Like buttons on their existing eCommerce sites, all the way to companies like ShopIgniter, who’s focused on helping brands go from product discovery in social to purchase. BF: How do those components manifest on Facebook? MM: Facebook itself doesn’t enable any transactions outside of their Facebook Credit offering. There has been much speculation about Facebook expanding their Credits program to include broader eCommerce offerings but they haven’t done this yet. With the move away from FBML within the Facebook Pages and Apps worlds, brands and retailers are able to create rich experiences within Facebook and they can now easily include commerce functionality. There are vendors that offer easy to set-up and use Facebook storefronts for small businesses as well as companies like ShopIgniter that offer richer and more end-to-end solutions for bigger brands. That being said, the first wave of f-commerce proved that most customers aren’t on Facebook to shop. It has also largely been proven that most people aren’t on your online store to be social. In the next wave we expect to see more vendors trying to bridge the gap between product discovery, which is happening more and more in social networks with the help of Pinterest, Fancy and Polyvore, for example, and the path to purchase. In other words, you can do just about anything you want in Facebook and we think the next wave will include more brands getting serious about promoting products in new and interesting ways. BF: In your Social Commerce Playbook you point out three elements to product strategies for brands and marketers: rich posts, social product experience and seamless purchase integration. Can you quickly define those and talk a bit about their importance? The strategy we outline in The Playbook takes each piece, dives into strategies for each and provides guidance for digital and social marketers looking to promote and sell their products. In social, the most important part of the experience is the stream. On Facebook, Twitter, Pinterest, etc., everything that’s important happens in the stream, whether we’re browsing or posting. This is where awareness and discovery happen. The networks know this and are hard at work making stream posts more and more compelling. Facebook has introduced Timeline and a few big and beautiful post types like the Gallery post, for example. Twitter has introduced their new Cards API and Pinterest is a beautiful photo world to begin with. The richer the streams get the better they are for promoting products. In Facebook for example, we can already enable buying directly in a wall post and that experience is going to get better and better. Executing rich posting plans are essential. As you shared, what we call “social product experiences” are at the heart of how marketers need to think differently when promoting products. Instead of posting and linking to your existing .com or online store, social customers need a “transitional” experience to allow them to stay in-network, explore the products more, learn, share, comment, earn rewards and potentially buy. These experiences can come in many different shapes and sizes but must be focused on key objectives and must make it easy for fans to buy if they choose. Lastly, since 50+% of social customers are on mobile devices, these experiences must be optimized for both smartphones and tablets and must account for these different contexts, especially when it comes to checkout. The last piece to the puzzle is making it easy to buy. This doesn’t mean that all social product experiences need to be full-function stores; in fact, integrating existing eCommerce carts is a great solution for many big brands and retailers. Regardless of the underlying technology, social customers expect that if they do finally decide to buy that it’s as easy as possible. Generally, our recommendation is that where the experience lives is determined by where the customer accesses it. If someone is coming from Twitter or Pinterest, the experience can be a standalone web-based app. If they’re in Facebook keep them in Facebook, and if they’re on a mobile device make sure the design is responsive and that the experience is right for the device. BF: Of the three elements, you say the key lies in creating good social product experiences. What does a good product experience look like and where should such an experience live? Study after study shows that social fans and followers tend to be a brand’s most rabid customers. Perfect. But presenting the same old products you’re pushing on your online store just doesn’t work. The products need to be special — this is key. This doesn’t necessarily mean that you need to convince your company to create a whole new awesome product to sell on Faceobok, although that would be great, it just means you need to get a little creative. Can you get a famous designer, celebrity or influencer to make a small set of exclusive versions of a popular product? Can they sign it or wear it or have a special color made … The ideal situation is to have a series of exclusive products you can roll out over time, this builds anticipation and excitement — perfect for social. Now you need to make the experience special. Do you have video of how the products were made; can you tell the story in photographs or do interviews? Do you have an existing loyalty program that you can integrate into your experience so people who share or comment or buy can get rewards? If not, you can build that into your experience, no problem. BF: I can see social media or community managers sweating over how much of their FB activity should be promoting social product experiences versus the brand engagement stuff. In your view, what’s the right mix? MM: There’s no set ratio. Product promotion should be driven by seasonal and brand calendars and when there’s something special to share. Many marketers have gone too far the other way, not mentioning products at all because they think fans will revolt. We encourage them to ease back in and be more thoughtful and interesting in how they promote products. At this time of year it makes the most sense to start thinking about holiday. If you’ll have special promotions, sales and products start planning now. Those plans will help you find your messaging balance. BF: In the Playbook you also indicated that engagement drives amplification, loyalty and purchase. A lot of retailers have had challenges establishing the link between engagement and sales. Can you show how community engagement (via comments, shares, etc.) connects to a purchase? And what types of engagement are most effective? MM: When fans engage in a poll or contest they are not in a product discovery or consideration mind set and getting them on that path is impossible. As we’ve learned in eCommerce, when customers are shopping things like rich product imagery, reviews and merchandising impact conversion rates. In social product experiences, the goals are usually to both amplify (shares, comments, likes, retweets and repins) and to drive consideration and purchase. More product-specific actions like “want” buttons, add to cart/wish list and watching product videos, for example, are much more likely to drive sales. BF: Retailers and brands sell tons of products. How can they most quickly determine what’s worth promoting on social? And what product promotion method seems to work best? Think special. Any product or collection that has a story you can tell is great. Either how it’s made, who it’s made by, the designer, where the ingredients come from, etc. Take a small set of your most popular products and make them special. They’re already popular and you’re going to build on that. Do some research. Take beautiful pictures of some of your best products and post them to Pinterest, Twitter and Facebook and see which get the most engagement. Run polls to your Facebook fans around product ideas. Or get deeper and work with your consumer insights team or an outside agency to better understand who your fans are and what they like. Once you have some products in mind then planning the experience should flow from key objectives. If you want to reward fans with exclusives across your seasonal calendar, build a social store where you’ll update products, let fans vote and earn rewards, etc. If you want a big burst of buzz and sales then consider a flash sale, etc. BF: From your experiences have flash sales worked well on FB? If so, what sort of tools or services are out there to help a retailer or brand implement a flash sale on FB? MM: Flash sales with special products can be amazing in social. Not only do they drive sales but the buzz and lift in new fans and customers can be great too. ShopIgniter is the only vendor I know of that can create, manage and measure flash sales of significant size. 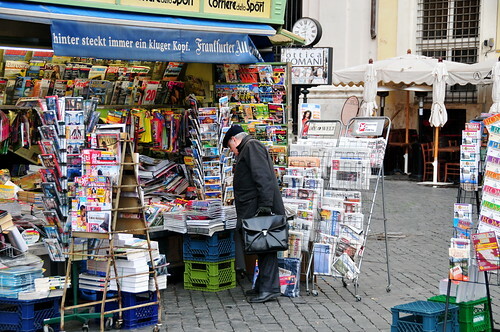 There are smaller storefront vendors like Ecwid but they’re not built for large brands and retailers. BF: What’s the best advice you can give to social media managers trying to integrate product experiences into their current FB content stream? Work with someone in your eCommerce or retail team. They can help with product selection and merchandising, commerce systems and the basics of selling. Don’t be afraid and get excited. If you’re excited about a great set of products then you’re going to create a great and successful program. If you think the products are dull, they probably are. Social and commerce are complicated, unfortunately. Make sure you have a partner, either an agency or a solutions vendor, who has done this before. Rely on them for guidance, best practices and to solve creative and technical challenges. Think long term. One-off product promotions can be successful but you have products to sell all year long so think of programs that can be somewhat repeatable. Focus on inspiring your fans not selling your products. They love you because of your products and if you give them something they want and make it easy to share and buy, they will. BF: Are there tertiary effects from successful social product experiences? For example, have you seen a brand’s overall SEO improve or see them get a boost in customer satisfaction ratings from such efforts? When cross-referenced, we’ve seen brands find that more than 50% of their fans and followers aren’t in their CRM database. For some it’s even higher. When social product experiences include opt-in tactics then these efforts can jump start or accelerate existing retention programs. We’ve seen an increase in buying by loyalists in some cases. When fans feel special or have access to exclusives they tend to buy more. This also drives higher Net Promoter Scores (NPS) and similar satisfaction ratings. BF: Anything else you would like to add? Better Engagement – Up to 75% of users participating & sharing content vs. avg Facebook post engagement of 0.11% for Retailers. Higher Amplification – Up to 2.5 stories and shares generated for every user vs. share buttoned Product Pages, only 0.36% have even 1 Like. Increased Conversion – Up to a 28% conversion rate for products sold via a social showcase vs. avg convert rates of 0.6% for Facebook & 0.4% for Pinterest linking straight to a .com. BF: On better engagement, when you say social product experiences can bring 75% of users “participation and sharing” vs. 0.11% avg FB-post “engagement” for retailers, are we really talking apples to apples here? MM: Not apples to apples but more an indication of the increases in participation, amplification and conversion that can be achieved with a more full-featured strategy. Relying on stream posts and links to .com just isn’t enough. As I touched on a little bit, social product experiences can have all sorts of engagement actions from the standard Likes, shares and comments to voting, “wanting,” playing, adding to wish list or cart, capturing opt-in or lead info, etc. Social influence may very well be the current zeitgeist of digital marketing. With the blossoming of services like Klout and PeerIndex that help brands find and meet social influencers, any marketer may come to believe they need to use such services to discover new influencers and automate relationship building. Instigators are the drivers of actions and conversations, and it’s down to one simple fact – they have the innate ability to create conversations and actions based on those conversations, as opposed to being a shill for a brand. What he’s getting at is that as a brand, you should shy away from services such as Klout, and focus on building real relationships with real people who have real influence. What’s not explicated is that he’s basically talking about bloggers: People who have a following not on Twitter or Facebook, but on their own blog. Is this sort of call meaningful? Are there brand or marketing managers out there who are only focusing on services such as Klout to spell out their influencer graph? I doubt it. I think all you marketing gurus know that when it comes to building out your network of influencers, you have a well-rounded reach. Pull out your Rolodex of influencers and you likely have a healthy mix of media journalists, niche bloggers, celebrities, and the like. As of 2012, you may have added a few influencers that Klout sent your way. But you treat each of these differently. And most of your attention is aimed at where you will get the most visibility for your brand: established influencers with a large following. Good, so don’t use Klout, right? Not quite. Typically an influential blogger also has a Facebook or twitter profile. And that profile will usually have lots of followers. Most smart bloggers do this. When it comes to staying abreast of your favorite blogger, many if not most of you will use Facebook or Twitter to do so. And this is where the beauty of a tool such as Klout comes to play. Since Klout relies heavily on Facebook and Twitter to determine influencer score, it can help you identify and target bloggers you may not currently have in your Rolodex. But use such tools with a bit of caution. Definitely don’t put too much stock in the scores – they’re automated via a black-box algorithm and aren’t always going to be spot on. But they can give you clues as to where your strongest potential influencers are. So who are your top social influencers? Klout may indeed help identify current trends with your influencers, but only to the extent it searches for influencer data (primarily Facebook and Twitter), and only through the lens of it’s mysterious algorithm. Ultimately, your true top social influencers should be determined by more than just an automated-and-algorithmic tool. My suggestion is to continue building real relationships the old-fashioned way. But be vigilant with tools like Klout to maintain broader awareness of the influencers within your niche. How do you connect with top social influencers?